To enter an Instance on Tales of Solaris players need to meet the level requirements and provide a Vigor. 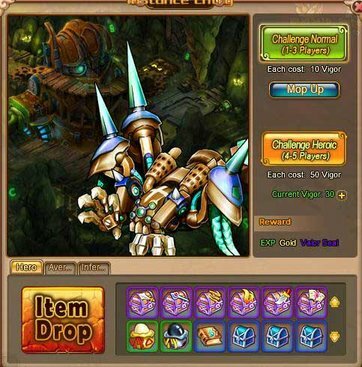 The Instances come in different difficulties; normal and heroic, heroic being the more difficult version and it has a higher level requirement than normal. Each Instance comes with a few floors as well as boss monsters. After players clear the instance they can gain special items from card flips at the end. There are several different Instances available on Tales of Solaris, each one having different level requirements and rewards.